Why am I not losing weight? This was the dilemma I had about 5-6 years ago. After a few years of indulging in cakes, pasta, frozen curly fries and copious amounts of alcohol, I decided it was high time I hit the gym. So, I got myself a personal trainer and starting weight training 4-5 times a week. In addition, I also changed my diet to a high protein, low carbohydrate one. The problem was that I was not losing weight and my body composition was not really changing either. I further restricted my diet to minimal carbohydrate for another 2 years. I was miserable! Eliminating carbohydrates, relying on protein and the stress of not losing weight had negative consequences on my health. I developed IBS (irritable bowel syndrome). I ended up in A&E a few times with severe abdominal pain. More frightening was that doctors were not able to help. A staggering 86% of Britains suffered some kind of gastrointestinal issue in 2016, according to a Mintel report. What is more interesting, most of us don’t look into it further. It is my observation that we just don’t like to talk about our digestive health. In addition, we feel it is a temporary discomfort. However, the pain of not losing weight is a lot more pressing. A food sensitivity is different to a food allergy. A food allergy is an immediate response of your immune system to a particular allergen. In other words, your body is flagging harmless environmental substances (like peanuts, shellfish, eggs) as dangerous. On the other hand, a food sensitivity or intolerance is a delayed reaction that can take anywhere between a couple of hours or days to manifesting. There is is still a lot of debate around what and why causes food sensitivities. The most likely reason has to do with our poor diets, high in sugar, poor in nutrients, high in alcohol as well as increase of antibiotics and other drugs. These have a negative impact on our digestive tract which is the main “gate” between the external environment (the food we eat) and the internal environment (our cells). The main culprits would be gluten, diary, grains, sugar, alcohol and caffeine. The best way to see if there is a food sensitivity involved is to eliminate these for a period of time and introduce 1 by 1 and keep a diary of your symptoms. Another way is to do a food intolerance test. However, few argue that there is little evidence to support the validity of the information. In any case, if this is something you believe might be an issue our nutritionist is more than happy to help. We are host to a large community of bacteria (microbiota). The collection of genes of the microbiota is called microbiome. The number of genes in our microbiome are 100 times greater than our human genes! These bacteria have various functions they perform in our body and recent developments suggest they are critical for our health. Our microbiome can have a role to play in our metabolism. Some of the bacteria extract more energy from the food we eat, leading to weight gain. The presence of more bad bacteria to our good bacteria can lead to inflammation. This in turn can affect insulin, the hormone that helps keep your blood sugar levels. We know that constant spikes in blood sugar may lead to weight gain. The same thing could happen if there is a presence of parasite. Eat plenty of vegetables. 50% of your plate should be a combination of green leafy veg and rainbow veggies and 25% aim for root vegetables (carrots, parsnips, sweet potato, beetroot, swede, turnips). Fibre has an important role so eat nuts, seeds, green leafy veg and root vegetables. The main culprits of gut inflammation are antibiotics, antacids, alcohol and sugar. Our digestive tract is the main portal connecting the external environment (the food we eat) and our internal environment. The culprits I mentioned can damage over time the digestive tract which means it will start to resemble to a cheese cloth with large holes. Through these holes harmful substances can leak in our bloodstream, causing leaky gut syndrome. When you have gut inflammation your digestive system is not working optimally. Therefore eating fermented foods, raw nuts and seeds, beans and legumes, fruits and raw vegetables might actually make you feel worse. I can say from my own experience of dealing with this that it is a minefield and it takes a lot of patience and time to resolve it. Again, if this is something you believe you might be suffering from reach out to us or to our nutritionist. Not losing weight and gut health are incredibly complex matters. Because our system is interconnected all 3 of the above will have to be looked at for the same individual. 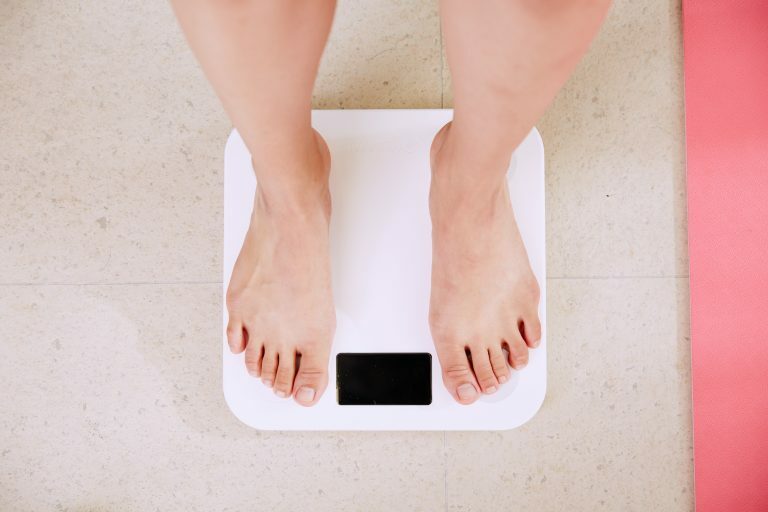 Of course, these are not the only reasons when it comes to not losing weight. We will explore those in another post. This smoothie is perfect to keep you filling fuller for longer. Plus it has plenty of antioxidants and some probiotics to give your digestive health a bit of a boost.